Friends, I know I had promised this blog post for last week, but these days, planning an Influencer event, attending meetings with your daughter in L.A. and keeping up with my blog posting sometimes sets you back a bit. Life happens too therefore you can only try to keep up. Some might think that being able to work from home normally means having all the time in the day for everything, well reality check, not true. If anything it almost feels like days are shorter and they fly by wayyyy faster. None the less this particular blog post is one that I've been planning on writing and sharing for quite some time now. First let me start by saying that I don't have the most perfect skin and I'm only a few years away from droopy old lady skin! But I have been doing my due diligence to keeping my skin healthy and happy for as long as I can remember with none other than some of my favorite brands. 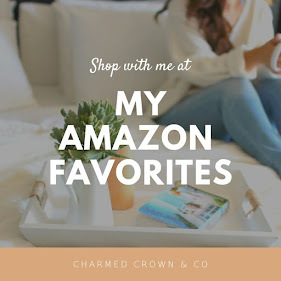 I've also been lucky enough to have been introduced to a few newer brands and products in the last couple of years because of this blogging thing. Plus having a beauty vlogger for a daughter has its perks. Every morning I start by rinsing my face with a mild face wash like this one here. I love this particular face wash because its light and great for both morning and night. Avon Solutions Dramatic Firming day creme (below) has been a long time favorite day moisturizer, I love switching off between this one and my Clinique Smart. Unfortunately, Clinique can be slightly on the expensive side so that's why I always like having an alternate affordable choice that works just as well and I'm happy with their results as much. Though I appreciate trying new skin care when given the opportunity with some of the sponsors I work with. This Anew Clinical Eye Lift is one I prefer to use in the evenings, but its really helped with the crows feet you guys. I'm proof that it works and one I highly recommend. Sure aging lines are inevitable but I want to slow down the process for as long as I can. Don't you? Also the second best part about this eye cream, it has two parts, one is for the top lid of your eyes and the bottom. Next, this Anew Clinical Advanced Wrinkle corrector is my evening moisturizer along with the Anew Clinical Retinol that I use about twice a week for some extra work on those fine lines. I've been using this wrinkle corrector cream since I hit my 30's and occasionally I like to change it up as well with an evening serum, currently I'm using June Jacobs but I'll talk more about that in a bit. A lot of you are probably familiar with Mario Badescu facial sprays, but I love their Aloe, Cucumber and Green Tea facial spray in particular, my daughter introduced me to it a while ago and I tend to spray it on as soon as I get out of the shower, so that it has time to dry and seep into my skin before I apply any of my evening/night moisturizers. 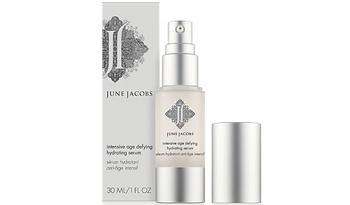 Now let's talk about this new June Jacobs intensive age defying hydrating serum. I tend to use this one alone just before bed. You can actually use it both either alone or with an additional cream/moisturizer of theirs or other. All of June Jacobs products feature cutting-edge botanical extracts, high quality actives and a 20-year US patented anti-oxidant blend of white tea, red tea, green tea, goji berry, pomegranate and grape seed extracts creating a suit of armor to shield skin from environmental toxins and combat the visible signs of premature aging. Every product is made without parabens, preservatives, petrochemicals, sulfates, synthetic dyes and fragrances whenever possible. I've had the pleasure of working with June Jacobs before with some of their repair creams and lip balm. I still use them often. This serum is not cheap, truth be told, and having been given the opportunity to try it in exchange for a review has been amazing, because I can honestly tell you that it works and its up to you if you'd like to go that route and try it too. But remember an more affordable night/evening moisturizer is listed above for your reference. I'll continue to keep you posted on my skin care as I either keep it the same or change it or try new things. I will do it either here or on Instagram, I will also share how I've started to incorporate Young Living oils into my facial and body skin care as well very soon. So hope you come back for that. A makeup share might have to be in order too, since a few of you have asked. Till then, thank you for stopping by the blog as always, don't forget to comment and ask any questions or suggestions you may have.